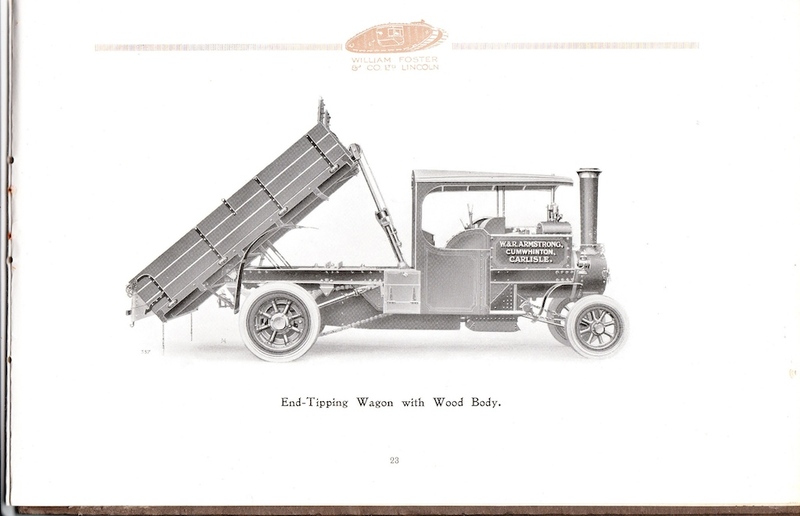 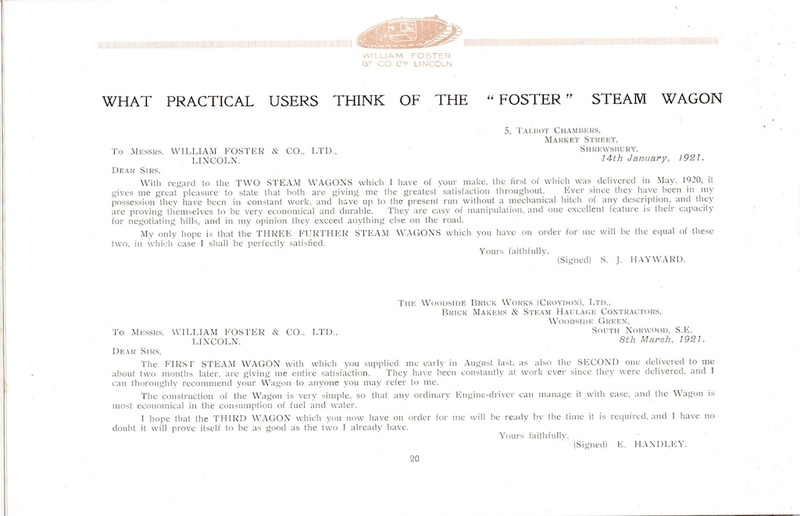 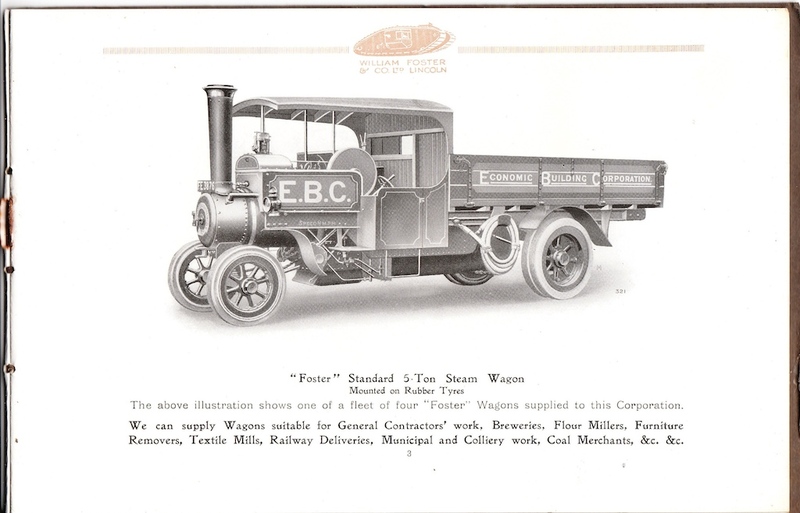 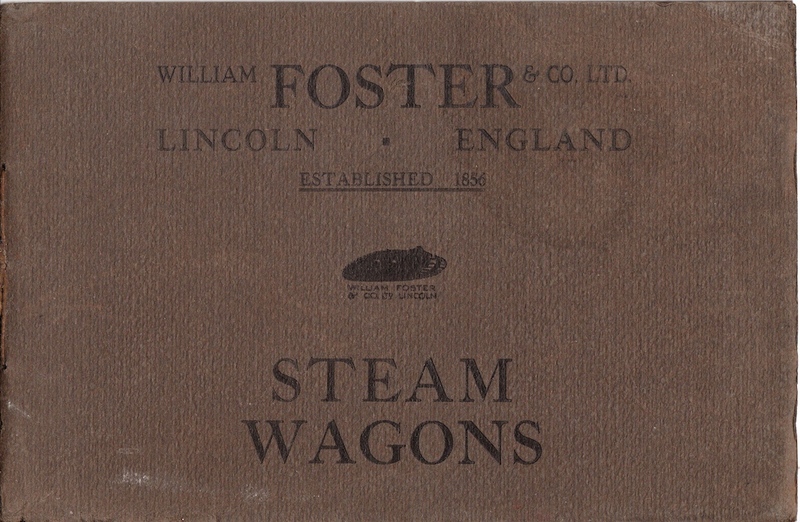 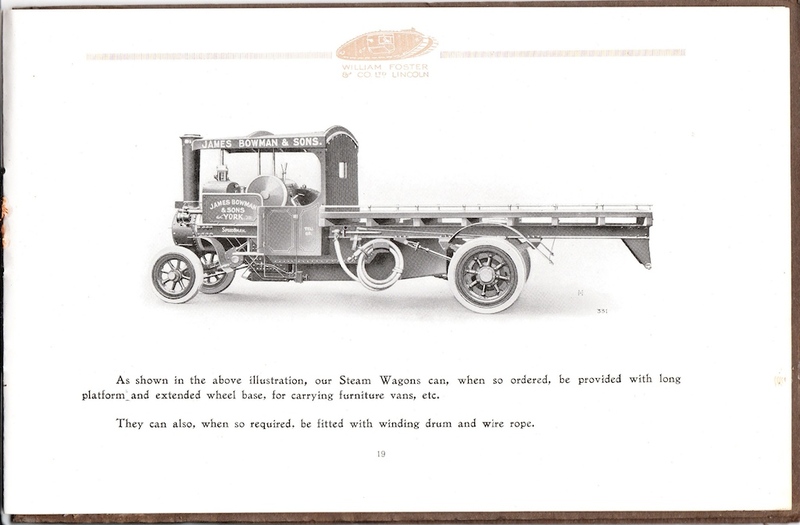 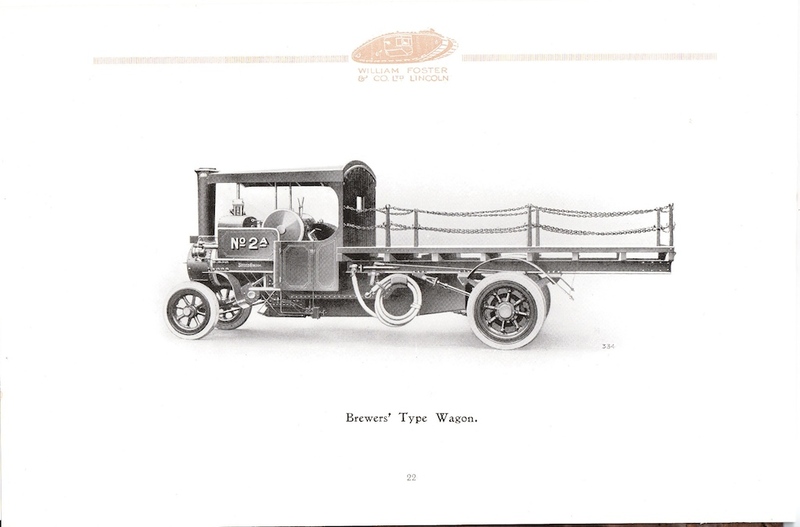 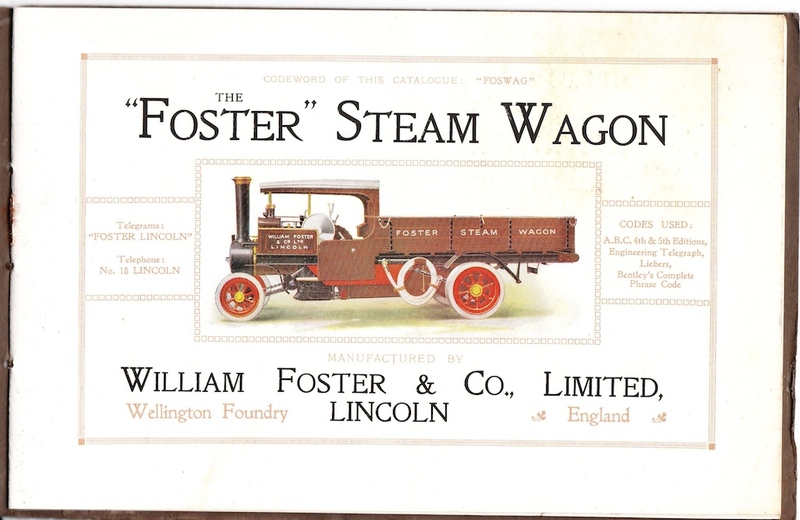 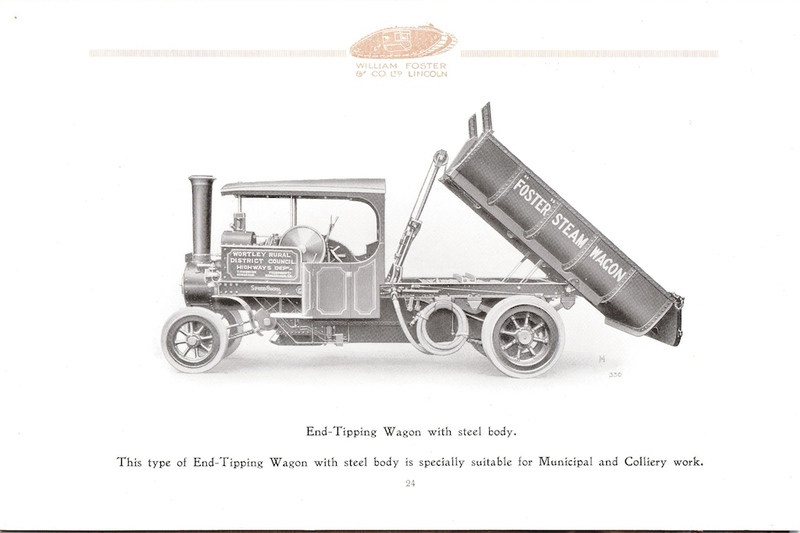 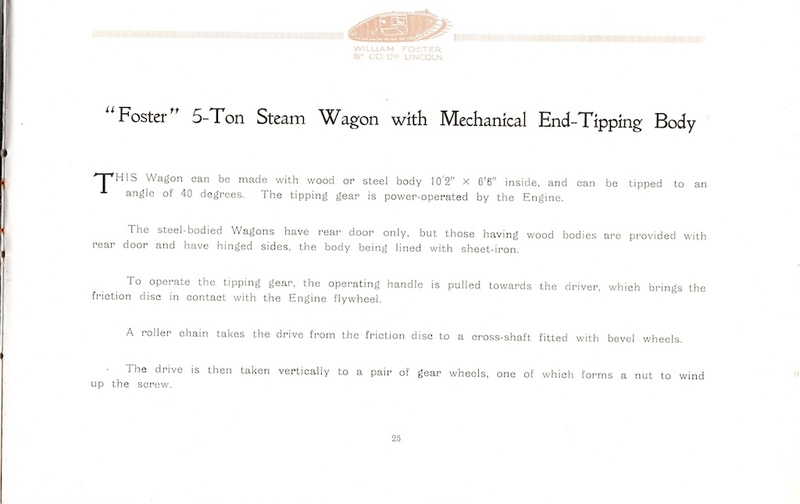 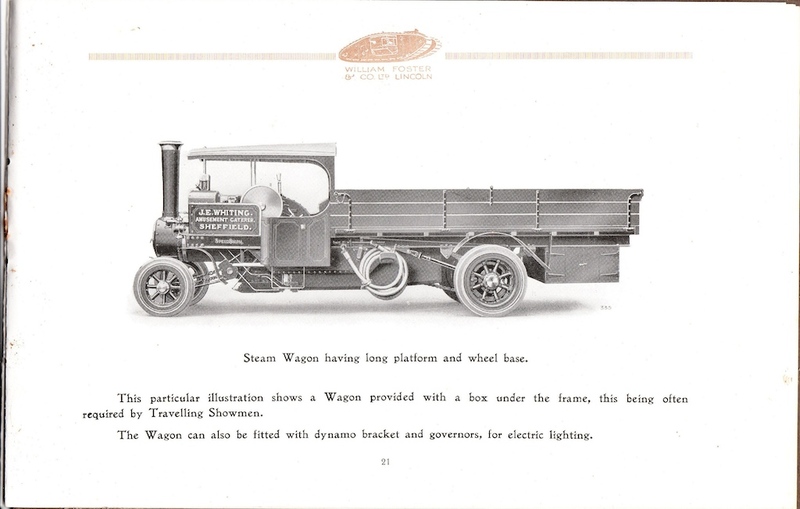 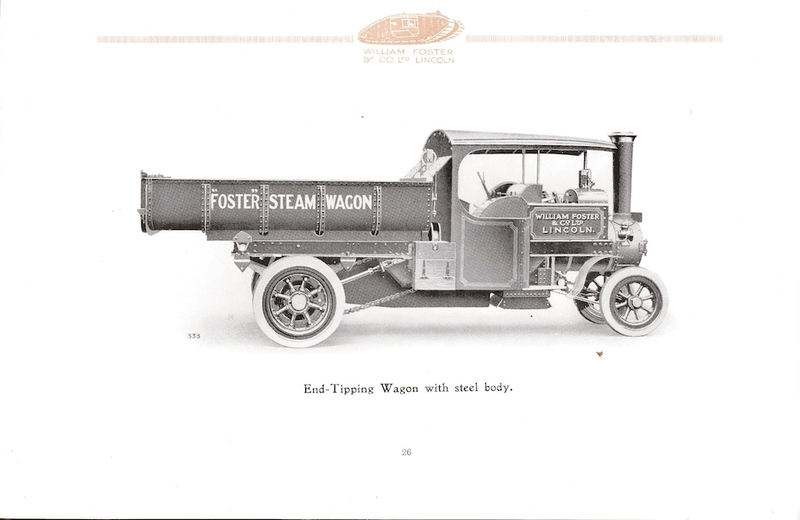 I have been sent these scans of an original Foster Steam Wagon catalogue by Al Jackson who’s family requested the catalogue from Fosters when they were considering the purchase of a wagon. 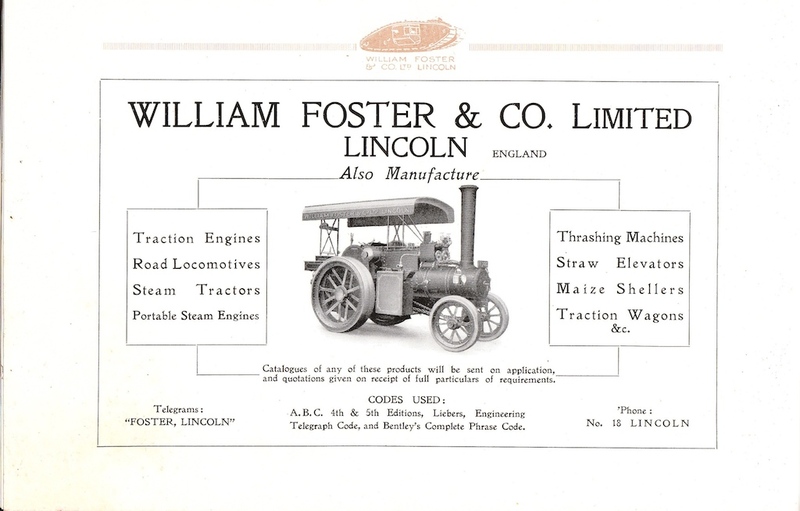 Catalogues such as this make interesting reading and general contain pictures were don’t survive anywhere else – and they are worth quite a bit these days. 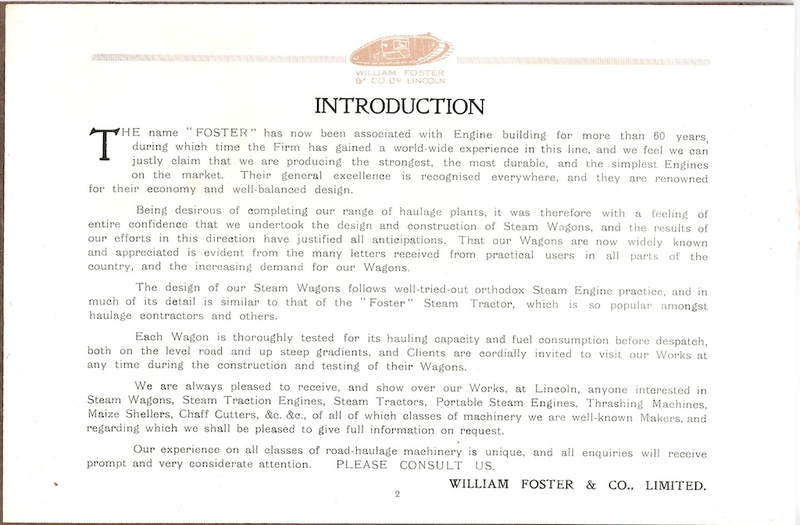 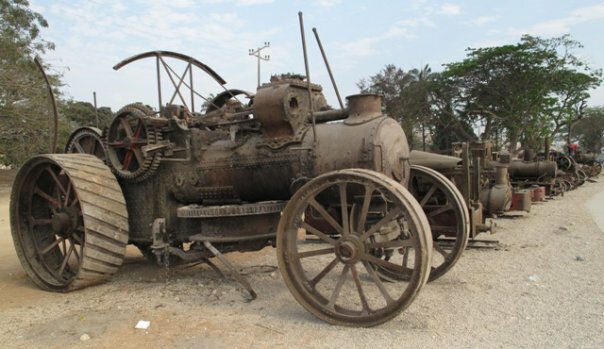 Foster wagons are now very rare engines with only one example in the UK, Foster 14470 of 1921, this engine was returned from Australia some years ago. 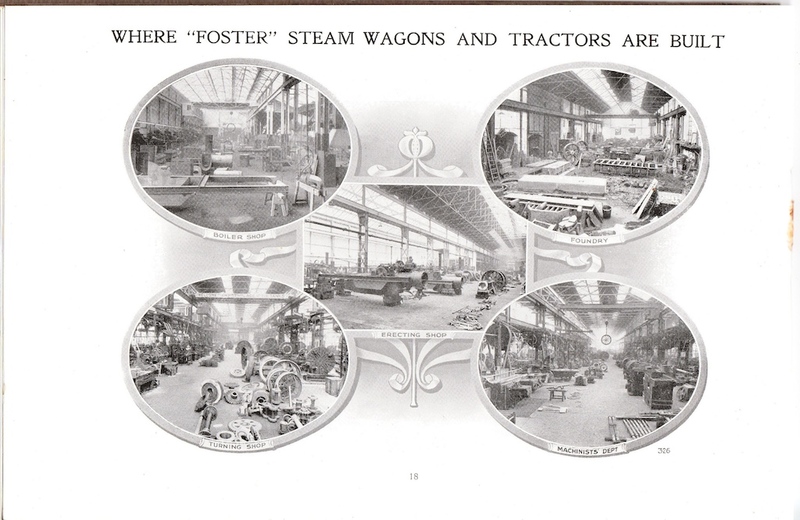 A selection of pictures from the catalogue are below, click for a bigger version.